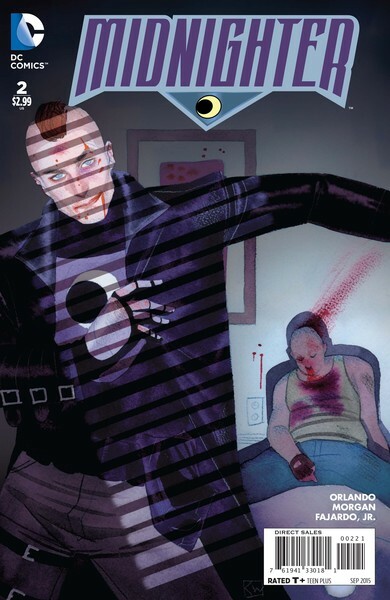 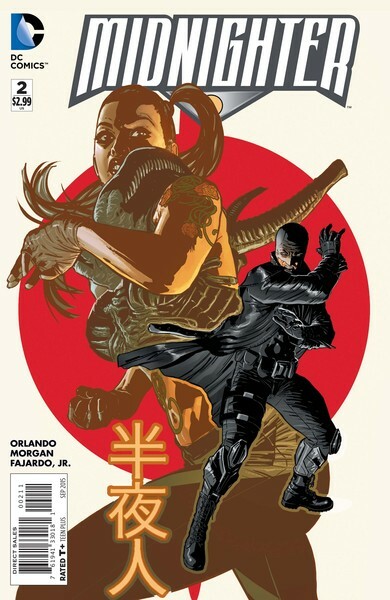 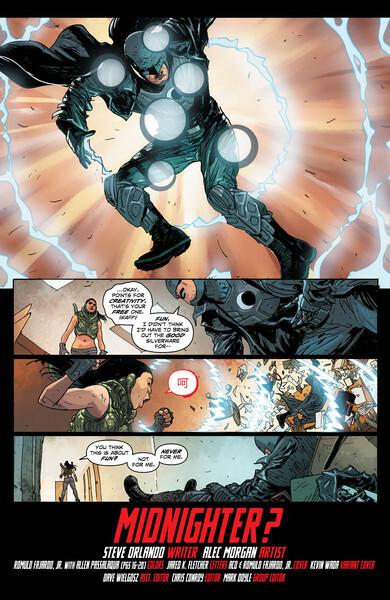 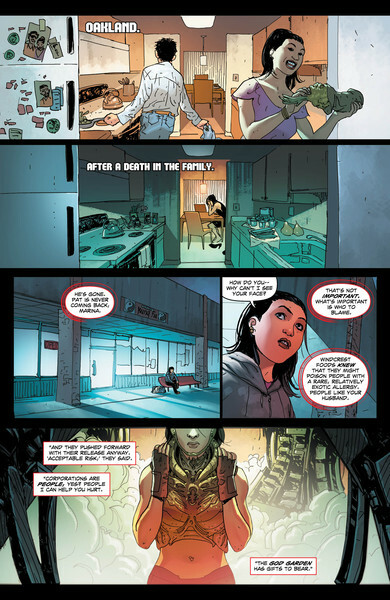 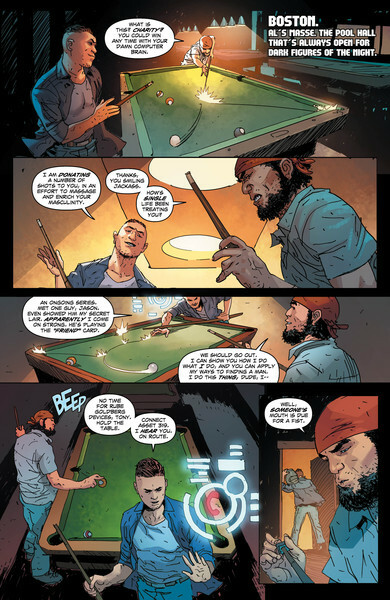 In MIDNIGHTER #2, writer Steve Orlando drums up a cacophony of trouble for our hero when God Garden tech unexpectedly falls into Marina Lucas's lap. 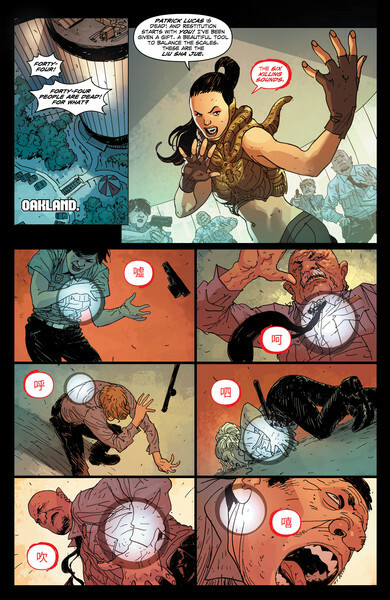 She's a suburban martial-arts instructor, and with this tech she’ll end the day as the deadliest woman on the planet! 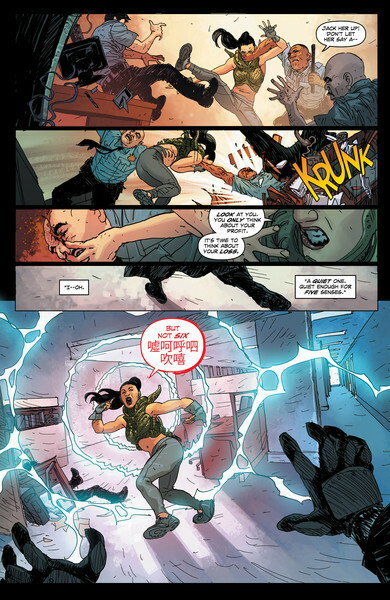 That’s bad news for her – and worse for the Midnighter! 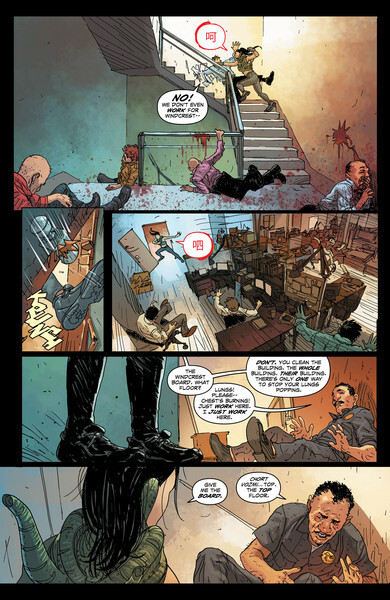 Featuring brilliant art by the talented Alec Morgan, come see what all the noise is about in MIDNIGHTER #2 this Wednesday!